My new position is as a Principal Research Contributor for Wikibon. This means that I will be focused on the tech, doing research and being an analyst. Louis Gray broke the news of my new position — listen to our 8 minute interview on the CinchCast site or by clicking play below. I’ve been humbled by the outpouring of goodwill including a blog post from Storagezilla and so many notes on my blog post, Twitter and Facebook. @stu has a new gig which sounds pretty cool for him. We’ll miss him at EMC, but he’ll still be in the clan! 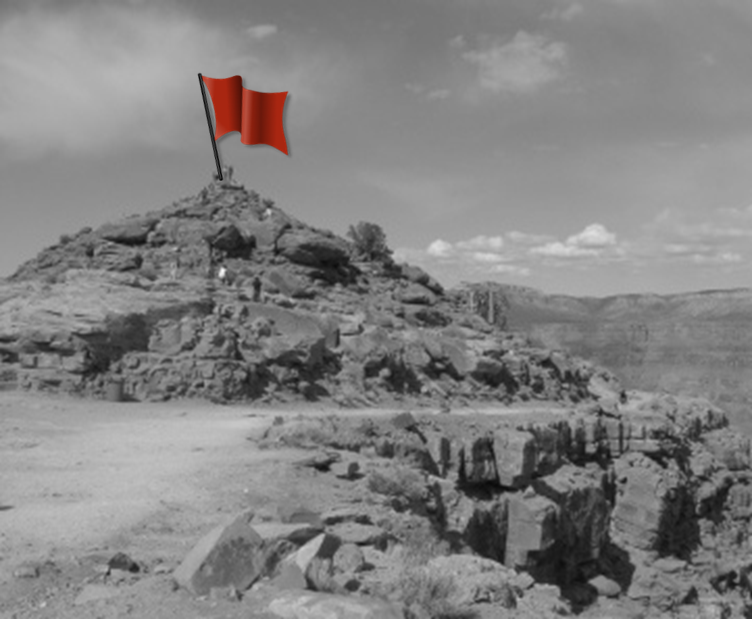 There’s no easy way to say this—I’m leaving EMC. There will be plenty of time to talk later on about where my journey continues. For now, let me say that I’m staying in the industry; will continue to be involved with a mix of technology, innovation and social media; and that I am not going to a competitor of EMC. 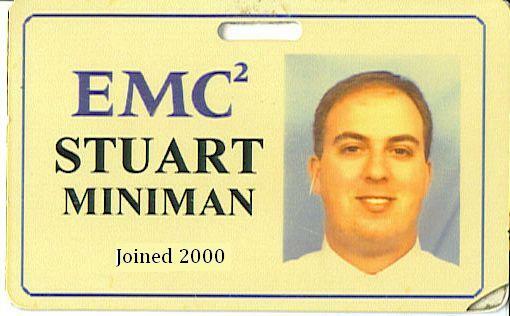 When I started at EMC, there was no Facebook, no Twitter, not even LinkedIn (there was 1 blogger, but it was many years later before I was even reading blogs). In my operational role in the company, I always tried to look at processes and tools that could help improve efficiencies. The two things which can not be replaced are relationships and organizational knowledge that are built up over time. When I got involved in social media, I networked with many Connectors inside and outside EMC. This exponentially amplified the number of relationships that I had and the knowledge that I could tap into from many sources. While there are so many people at EMC that I’ll miss interacting with on a daily basis, I hope that I’ll keep in touch with many of them. Making a change is hard, and I want to thank everyone for the encouragement and support that I’ve received over the years. 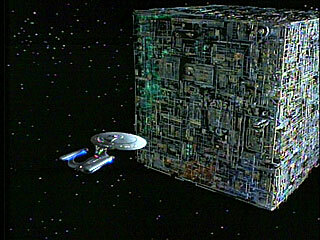 I hope that through my discussions on social media internally, I’ve helped to replace myself on the EMC Blogging Corp. The wave is here and I’ve been humbled to be able to ride some of it with Len, Jamie, Polly, Chad, Chuck, Barry, Mark, Gina, Dave, Dave, Steve and the other bloggers (including the ever-growing vSpecialist guys who have an unbeatable mix of technology and communication skills). Please stay in touch – you know where to find me. I’ve returned (but not recovered) from EMC World. Did you watch the live video from SiliconANGLE? The over 5600 Tweets on #emcworld? Well, just in case you missed something, here are some videos and links. First of all, on the blogger front – Len “the mayor” Devanna pulled off another fantastic blogger’s lounge – click on my “Blogger Photos” tab above for the group photo which links to Flickr where I have all of the names and Twitter handles listed. The videos include Joe Tucci, Michael Capellas, Pat Gelsinger, Howard Elias, Jeremy Burton, Jeff Nick, Steve Herrod, Chad Sakac, Chuck Hollis, Frank Hauck w/ the cover story customer from ON Magazine, the Women’s Executive Power Lunch with Polly Pearson, Kathrin Winkler and Gina Minks, the social media rockstar panel with Len, John Troyer, Stephen Foskett and John Furrier, and so many more that you should just take off next week to watch them all. I too stepped into the Cube for my first live video experience. 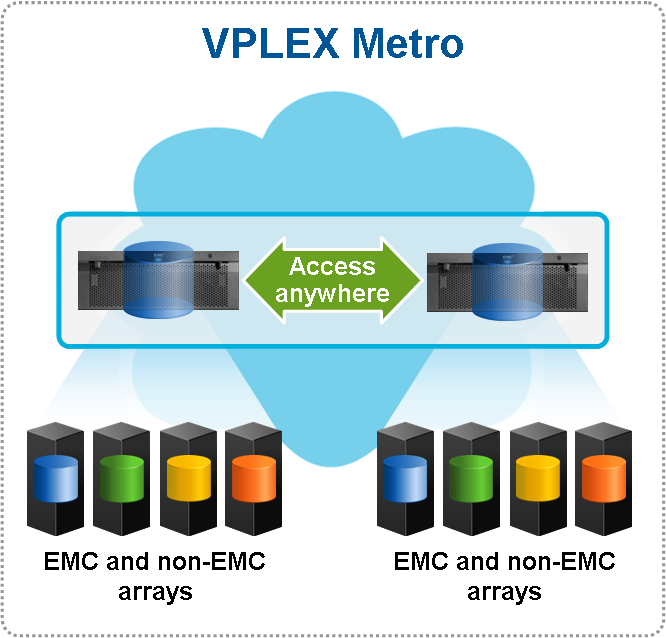 I had three segments discussing the Converged Network announcement that EMC made on Monday. The first segment (hosted here) was with Greg Schulz and Scott Lowe. All three of us cover networking in our blogs regularly, so it was an easy first assignment to cover with bright, articulate guys where I know their material. 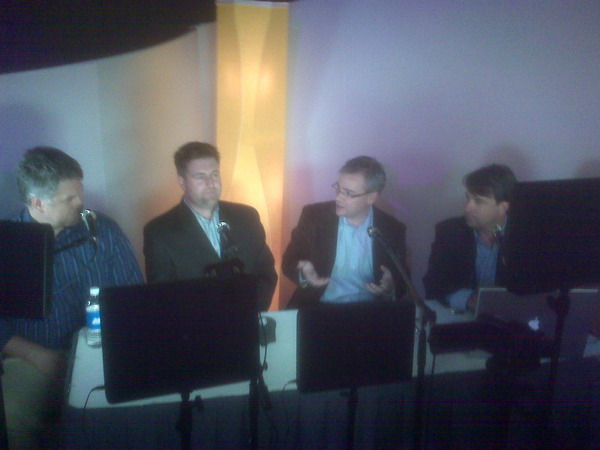 The second segment (hosted here) was with Doug Ingraham and Charles Hood of Brocade. A good mix of the long EMC partnership, dynamics in the marketplace and what we’re seeing in the field. The third segment (hosted here) was with Rajeev Bhardwj of Cisco discussing from how using 10Gb Ethernet and Converged Networks ties into the Journey to the Private Cloud to how EMC offering the Nexus 2000, 5000, 7000 expands the partnership. I shot another video with Cisco which should be showing up on their EMC World microsite soon. EMC’s video team grabbed me to discuss a variety of topics and they’ve posted this one on social media at the conference. So much goes on behind the scenes to pull of an event, as a friend of mine has on his email “I only make this look easy!“. Feedback and comments are always welcome. Quick video that sums up the first day of EMC World. The first bit is at the opening night reception where thanks to some coordination over Twitter, we got a large group of bloggers together to chat. The next clip is in the Blogger’s Lounge – a very large gathering of press, analysts, customers, partners and EMC employees that blog along with some special guests. He wasn’t on the official video schedule, but Joe Tucci – EMC’s CEO – made a special appearance at the live video session. Joe brought along newly appointed CEO of Acadia, Michael Capellas. Joe came off camera and said “I guess I’m a blogger now” – priceless! All of the video from the live broadcast are available on http://www.justin.tv/nicefishfilms and also at http://siliconANGLE.com. Below is a photo from the social media rockstar panel including John Troyer of VMware, Len Devanna of EMC (host of the Blogger’s Lounge), Stephen Foskett of Gestalt IT and John Furrier of SiliconANGLE (the guys behind these videos). Check out some videos, let us know what you think. Anyone want to name all of the people in the video? If you’re new to my site, please consider subscribing, and also find me on Twitter. Also be sure to check out the official EMC World 2010 PR Newsroom. I’ve spoken often on this blog about Fibre Channel over Ethernet (FCoE) as a great option for Converged Network technology. 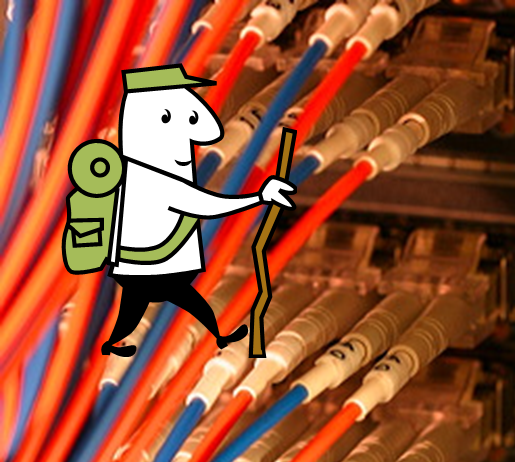 There have been a lot of discussions on the technical maturation of standards and products for FCoE, there has been less discussion of how the operational and organizational changes of deploying a converged network will be dealt with. To help customers work through these changes, EMC will leverage over a decade of expertise in storage networking to deliver world-class services and products for Ethernet-based storage products. The services and products cover multiple 10Gb Ethernet solutions including FCoE, Converged Enhanced Ethernet (CEE), iSCSI and NAS. Learning new technologies, interoperability, best practices, trouble shooting… EMC has walked these paths many times. They understand both the pitfalls and the shortcuts, and know how to guide you even in places where vision can be blurred by lack of oxygen. The E-Lab organization even publishes free “maps” including interoperability guides and best practices (including a full Tech Book on Ethernet and FCoE). Even with a good map and guide, the goals of your journey can change over time, so the services and products that EMC provides are designed to allow for flexibility and growth. The services provide you all of the tools to deploy a reliable and secure data center. EMC isn’t on this trip alone, there is a full stack of partners to travel with you including VMware, Microsoft, Cisco and Brocade. Wherever you are along the spectrum of upgrading to 10Gb Ethernet, deploying FCoE or rolling out a full private cloud environment, EMC can help. Below are the slides of my EMC World session. In addition to presenting the session live twice at EMC World, there is a recording of the session that attendees can get from the EMC World website. My EMC FCoE whitepaper has also been updated and can be found here. You can watch live streaming internet TV from EMC World discussing Converged Networks with EMC, Brocade and Cisco at 3:30pm on Wednesday, May 12th.